The best investment you can make in your family's safety and the life of your pool is a safety cover. A Tara Safety Cover will give you protection and peace of mind all winter long. Your backyard will be clean and beautiful throughout the off-season. No other form of protection can guarantee the safety of children and pets like a Tara Safety Cover. It creates an impenetrable barrier over your pool. Pool safety covers also save you money. When your pool is covered it prevents evaporation (Up to 95% less evaporation), saving water and chemicals (35%-60% less chemicals used). When spring returns, your pool will be ready to enjoy in less time and with less work. Not interested in covering your pool? Elite Pool Maintenance can also install LOOP-LOC’s BABY-LOC Fencing. When it comes to keeping kids safe, there is no substitute for adult supervision. But no parent can be everywhere, every minute! 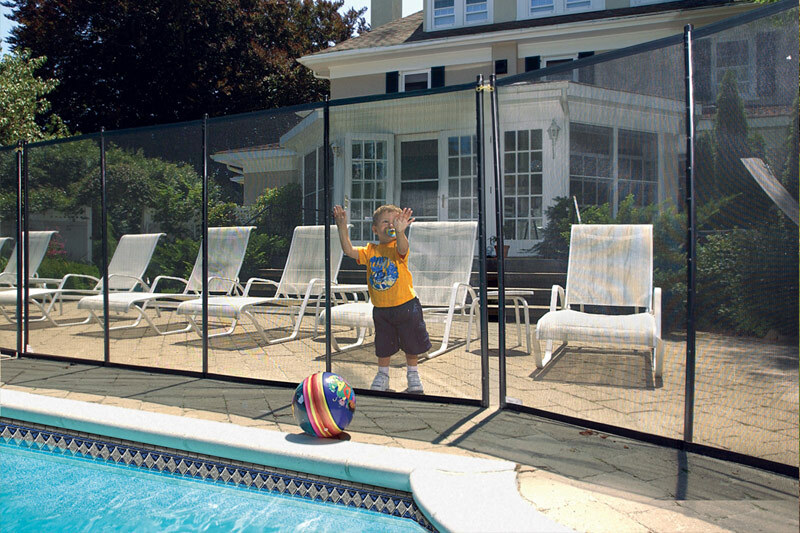 BABY-LOC removable pool fence is a convenient, cost effective additional layer of protection to help deter toddlers from gaining access to a swimming pool. BABY-LOC is also the perfect choice for a raised deck or dock.